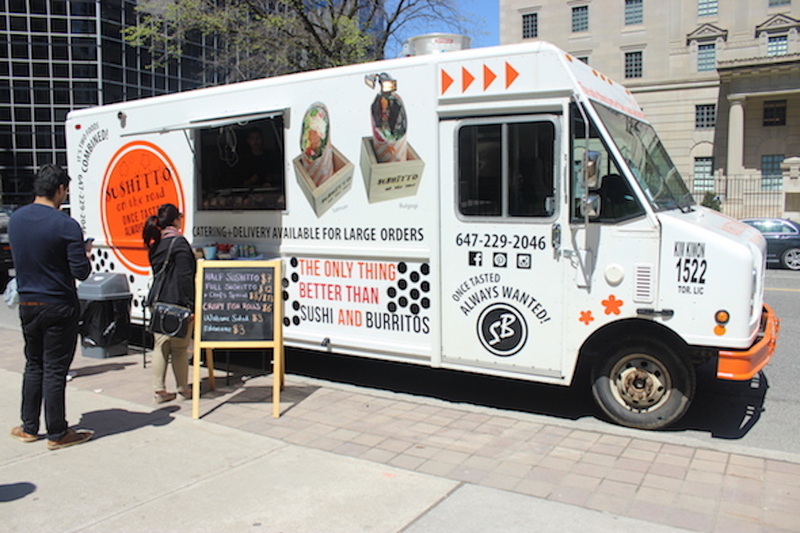 SUSHITTO On the Road is a Toronto based food truck specializing in sushi burritos. What is a sushi burrito? Think of it as maki sushi the size and shape of a burrito. The truck stuffs their’s with ingredients like shrimp, crab, chicken and a variety of vegetables.